A few weeks ago one of my best friends sent me an email with the subject “Fun question for you” and I knew I would be in for a treat. From thousands of miles away Julia told me about a whisky tasting club that she and her boyfriend have been participating in. This month they have the honor of hosting, and Julia asked for some appetizer suggestions to go with the Finger Lakes whisk(e)y they would be sampling. Julia knows me well, and rightly predicted that this would indeed excite me. Before I get to the pairings, I’d like to introduce you to this friend of mine, Julia Pistell. She is an unbelievably talented nonfiction writer (seriously, go check out some of her essays on her website) who will make you laugh and cry and think and laugh some more. She’s hysterical (and as such co-founded a professional improv comedy troupe), intelligent (her day job is at the Mark Twain House), and has the perfect radio voice (she contributes semi-regularly to NPR). We’ve got over 10 years of friendship under our belts, which includes living together, driving across all of old Route 66 together, traipsing around China together, and, most recently, frolicking in Rhodes together. Julia was one of my earliest culinary guinea pigs. Crostini – Another simple and delicious cocktail appetizer. Crostini are fun to make and can be prepared with a few different combinations of ingredients, allowing for greater variety with not a lot of extra work. I suggested crostini with ricotta, honey, and sliced pear thinking that the sweetness of the honey and fruit would provide a nice contrast to the whisky. Crostini topped with ricotta and slow roasted tomatoes is another favorite of mine. Honey-Roasted Onion Tart – I’ve made this incredible tart a number of times now and it always goes faster than I can take a photo of it. I imagine that the honey-sweetened caramelized onions will once again contrast nicely with the whisky, while the tangy creme fraiche might act almost as a palate cleanser between sips. This is the item that requires the most work out of the four, but it’s so worth it! Baba Ganouj – A dip is always a great addition to an appetizer table because it can be made ahead and serves a crowd. 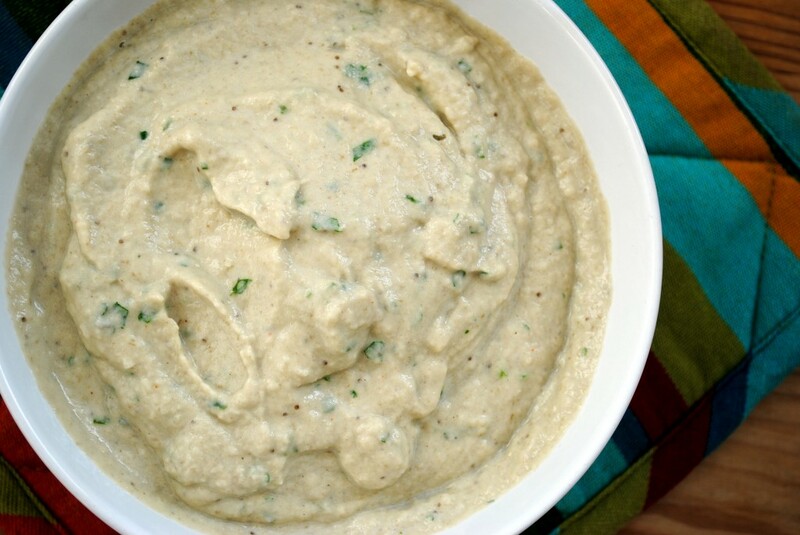 Baba ganouj immediately came to mind since I thought the smokiness of the roasted eggplant would pair nicely with the smokiness you usually find in whisky. It doesn't get much simpler than this classic appetizer, which perfectly balances sweet and savory. For even more flavor, wrap a piece of bacon around each date before baking. Make a slit in the side of each date and carefully remove and discard the pit. Stuff a piece of parmesan in the center and close so the date completely encloses the cheese. Repeat with the remaining dates and cheese. Put on a parchment-lined baking sheet and bake for 10 minutes. I absolutely LOVE stuffed dates…parmesan, peanut butter, wrap it in bacon, you name it, I like it LOL. In fact, I literally just went to my fridge, cut open a date, and stuffed it with peanut butter because this post gave me a huge craving. I can’t wait to try the parmesan stuffed one later! Haha that’s awesome! I’ve never had dates and peanut butter – need to try! I’ve never had dates stuffed w/ CHEESE before? Sounds awesome!!! love these suggestions! And the dates must be delicious! Thanks Nandita! I actually like this as a pre-dinner cocktail nibble, but it would make a yummy dessert as well. You are a magician! Dates are so hard to make attractive and yet you do so with aplomb! 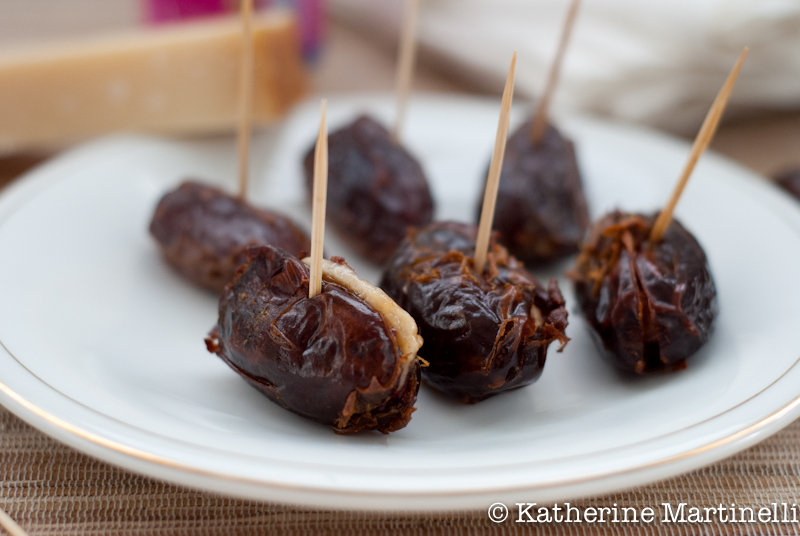 I love the list of pairings you offered…and the parmesan stuffed dates sound delightful! What a lovely menu you created for the whiskey club! I will definitely be making dates with Parmesan – that’s genius. Love reading about your friendship with Julia and I’m going to hop over to her site now. Hi Hannah! Hope you liked it 🙂 I’m going to be putting up my half of this story later tonight, so keep an eye on it! Thank you Hannah! I hope you enjoy Julia’s writing as much as I do 🙂 She’s a wonderful friend and an amazing writing. Very interesting! I’ve seen at least 4 recipes today about dates. Are they in season? It’s funny how I just saw this many today. Usually I never seen one or, maybe at least 1-2 recipes. None of them had dates with cheese in it. Very unique recipe – must be really good! Ha that’s too funny! These are dried dates so they’re always in season. I love dates in everything – savory and sweet alike. Thanks Nami! Yes, I can imagine they would be a great match for whisky, savoury, sweet and perfect. The only time I eat and use dates is in a sticky date pudding 🙂 So it’s quite creative of you to put parmesan cheese to make them both sweet and savoury ~ Thanks for sharing! Congrats for being Top 9 on Foocbuzz today!!! Mmm I love sticky date pudding – and in fact have a recipe saved up to post. Thanks so much Daisy! These look great and I bet the sweet dates paired well with the cheese. That honey onion tart sounds amazing too! Thanks Mary!! Yes, that honey onion tart is out of this world! People go nuts for it every time I make it. All those suggestions sound fabulous but those Parmesan stuffed dates are calling my name! Thanks Sylvie!! I actually just made them again tonight – this time wrapped in bacon – to go with a cocktail hour! A classic combo! And one I haven’t had for a long time. Now I’m hungry for dates! Parmesan I always have in my fridge, but I’ll need to make a trip to the store for the dates. Anyway, I’m not sure when I’ll get around to making these, but I will – good recipe. And I agree these would nicely compliment whiskey of any persuasion (bourbon, Scotch, Irish, rye, etc).